Bitcoin – the biggest of its type in terms of the entire market value, developed by an anonymous group of programmers – Satoshi Nakamoto, has entered its 9th year. This is a fabulous peer to peer system where the transactions can directly take place between the users. These transactions are confirmed by the network nodes and then recorded into the blockchain. 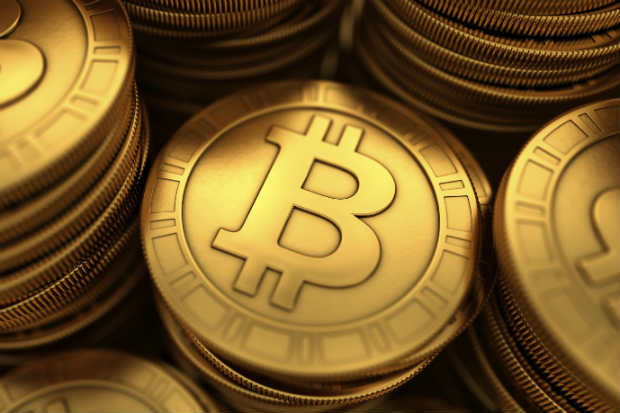 Bitcoin, which was introduced to cryptography mailing list on 31st October 2008 has has been making steady progress. It is more precisely described as the first decentralized digital currency. But, there are few traders who are not much fond of it due to high chances of cyber fraud. Does 2017 look promising for Bitcoin? Find out what Ganesha foresees. According to Ganesha’s view, in the Solar Horoscope of Bitcoin, the Jupiter-Rahu Chandal Dosh gets formed in the 2nd House of finances. Moreover, Mercury is also conjunct Rahu, which makes the overall picture quite mysterious. 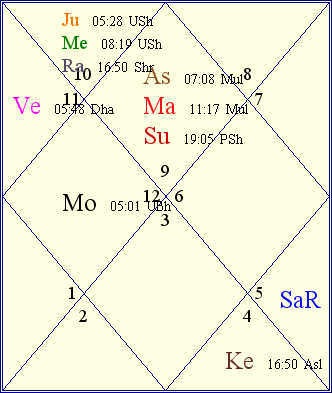 The Sun and Mars are conjunct in the Chart, which indicates a lot of aggressive and bold method of functioning. This can be understood by the way the organisation has issued 15, 285, 225 Bitcoins since March 2016. What lies ahead for Bitcoin? Bitcoin will be prone to a lot of controversies as its Foundation Chart has the Kaal-Sarpa Dosha. The current transit of Rahu-Ketu and Saturn will create a lot of complications. Major fluctuation in the prices of Bitcoin are foreseen post 12th September, 2017. The changes will be considerable in terms of volume and value. Due to the aforesaid planetary influences, there are higher chances that the people may start losing their faith in the concept of decentralized digital currency system. Want to know what the stars indicate about your finances in 2017? Then get the answers with the 2017 Finance Report. - The whole system of Bitcoin started during the Mercury-Rahu-Rahu-Venus-Saturn Dasha sequence from 13th May, 2017 to 17th May, 2017. - The Mercury-Rahu-Rahu-Venus-Mercury time frame from 18th May, 2017 to 20th May, 2017 will be very crucial, as major developments are foreseen in this time-frame. - The Mercury-Rahu-Rahu-Venus-Ketu time period on and around 21st May, 2017, may confuse those who are on the hunt for cyber criminals, and they may be unable to trace their operating location. - Once the Mercury-Rahu-Rahu-Sun-Sun Dasha sequence begins on 22nd May, 2017, the government will get some clues, and they will also work more actively and aggressively. - However, overall confusion will prevail till 17th June, 2017. Hence, all sectors will have to be on the alert mode. Till 26th October, 2017, Lord Saturn will move in a retrograde-direct motion over Natal Sun and Mars. This may cause legal problems for it. It is likely that some countries may work towards imposing some strict regulations on Bitcoin. The transit of Saturn through Sagittarius this year will pose a lot of challenges for it, feels Ganesha. Considering the overall picture Ganesha says that the future of Bitcoin may be dicey and uncertain. And it's best to stay alert and see how things will work out for this P2P decentralized digital currency system.